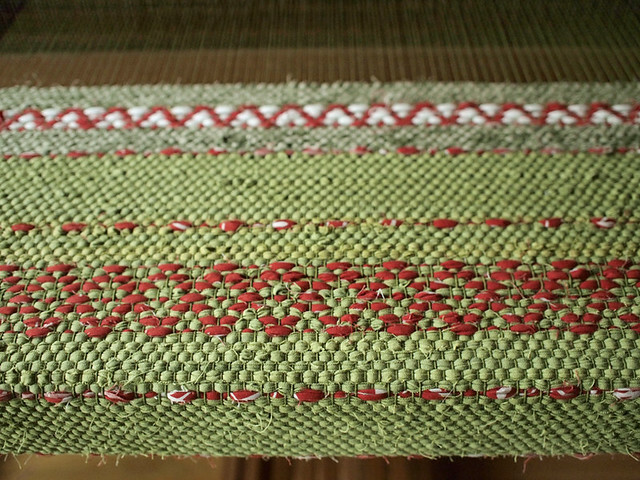 What a fabulous loom!!!! …love the flying carpet! Thanks! 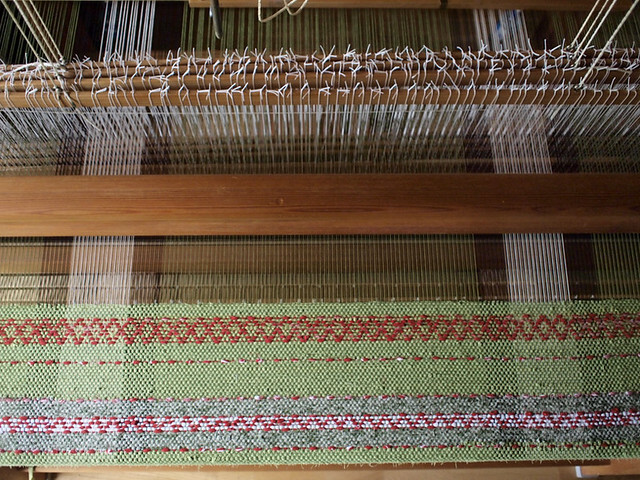 I am very happy with this loom. Beautiful green. I hope for many relaxing days in this. 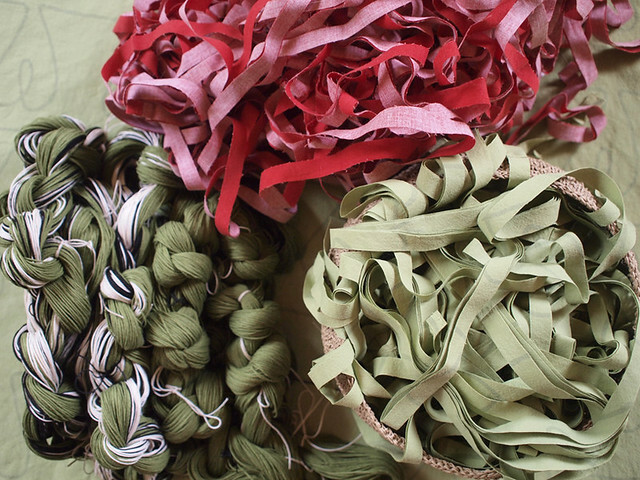 Congratulations to your wonderful loom. 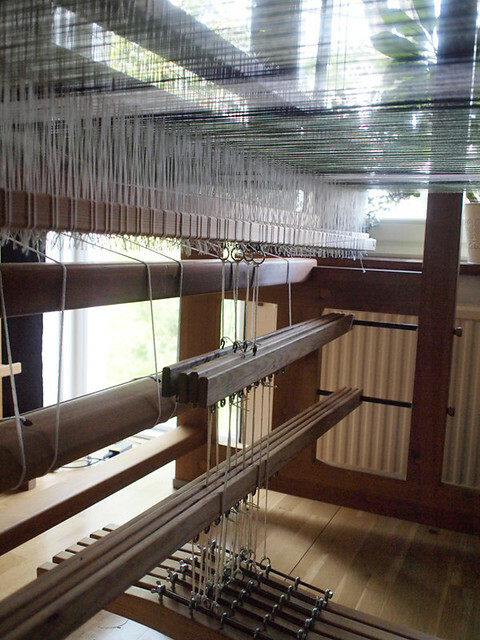 When I bought my first loom, it was “only” a Glimåkra-Ideal, weaving-width 1 m, we lived in a very smal flat in Cologne. 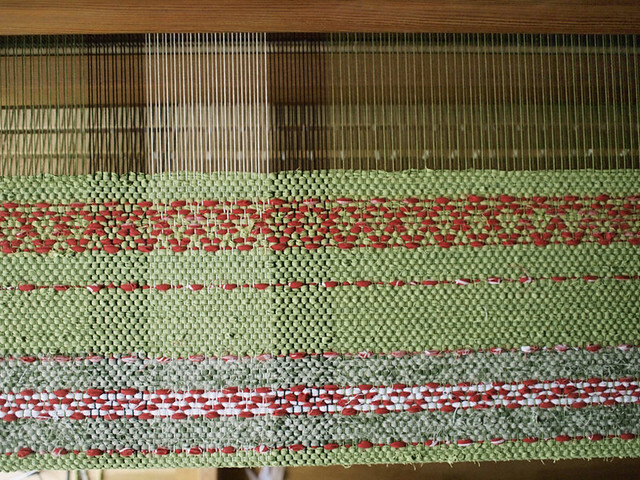 It had only a kitchen and two rooms and the loom took all the space of one of them, so we had to creep together in the other. I´m sure we´ll get a fine summer and hope that you can enjoy your flying carpet pretty soon. Thank you, Maliz! 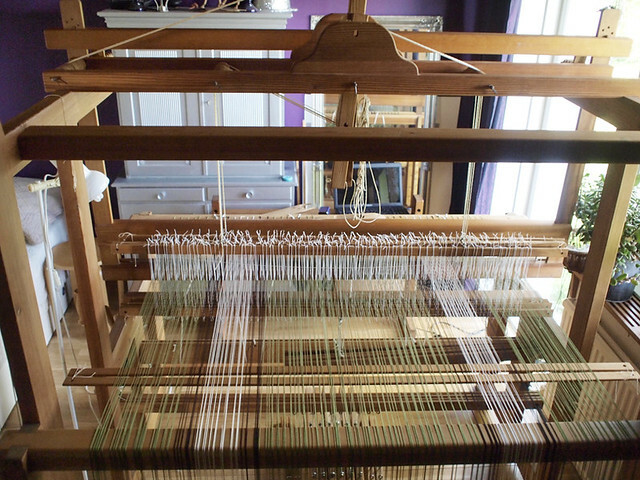 Two years ago I would not understand why one would need more than one loom, now I own four…Right now this is the absolute limit for our house. It looks like it’s starting to warm up properly, let’s hope it stays like this for a while. oh, to dream the summer away in your beautiful hammock. I seldom sit while out in the garden, too many weeds to pull. Enjoy! Thanks, Jean. I almost never sit, become restless at the sight of all the weeds, but I have hope that’s it easier to relax while lying in the hammock – you kind of look up more than around and it’s more difficult to get up!